​Some people had rights, while others had none. The text by award-winning writer Dean Robbins teaches about the fight for women's and African Americans' rights in an accessible, engaging manner for young children. Two Friends is beautifully illustrated by Selina Alko and Sean Qualls, the husband-and-wife team whose The Case for Lovingreceived three starred reviews! 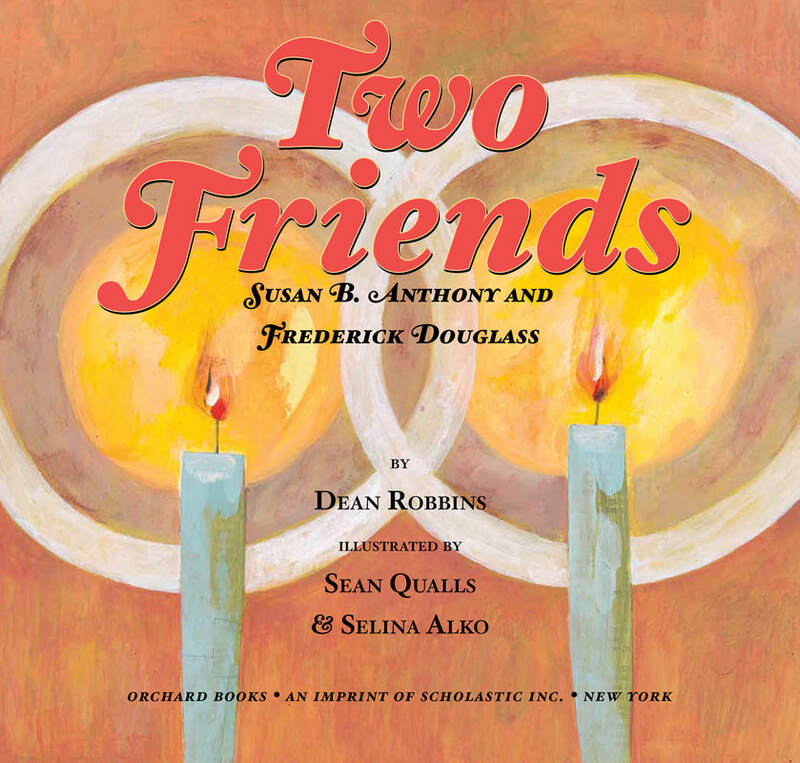 Two Friends includes back matter with photos of Susan B. Anthony and Frederick Douglass. ​"A visually appealing primer on these civil rights reformers." "In remarkably economic prose, Robbins reveals the similarities in their childhoods and demonstrates the enormous impact these friends had on history.… Bold colors lend an upbeat feel to the illustrations, while layers of paint and mixed media create subtle texture and depth."